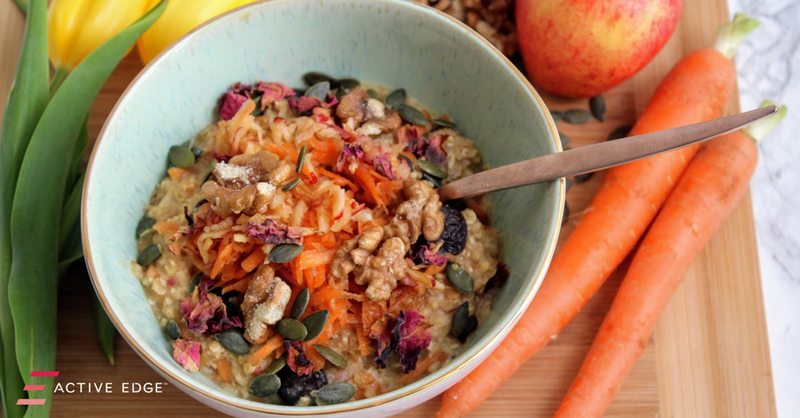 SpamellaB has created this amazing porridge for us, it tastes just like carrot cake! Place the oats and milk in a small pan and cook on a medium heat for 3 minutes then add ¾ of the grated carrot and apple (leave the rest to decorate!) along with the dried cherries, maple syrup and mixed spice and continue cooking for a further 3-4 minutes. Serve into a large bowl, spoon over the rest of the grated apple and carrot and sprinkle over the nuts and seeds. Enjoy!